Ukpakareports.com has received impeccable information from the inside circle of Nnamdi Emmanuel Uba indicating that Nnamdi Emmanuel Uba has picked gubernatorial forms from the Labor party. The same information indicates that he picked the forms yesterday [Wednesday]. Our reports had predicted that Nnamdi Emmanuel Uba would join the Labor Party following the Appeal Court judgment in Enugu that recently denied his application to declare him governor-in-waiting. In addition to picking up gubernatorial forms from the Labor Party [LP], Nnamdi Uba is said to have finally made peace with his brother, Chris Uba. The peace between the two brothers, according to our information, has in effect, opened the door for the brothers to combine forces against the gubernatorial race in Anambra 2010. Unconfirm sources have it that it took the intervention of their mother to bring the two brothers together again. 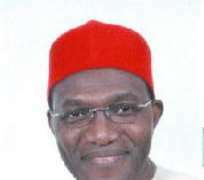 It is recalled that Chris Uba and Nnamdi Uba had been at loggerheads since the period leading up to the gubernatorial elections of April 14th 2007. Chris Uba was reportedly annoyed at Nnamdi Uba for the manner he sidelined him and uprooted his political structure in Anambra Peoples Democratic Party [PDP]. And reports have it that Chris Uba had remained unforgiving of the matter – and Nnamdi Uba, in turn, is said to have remained unapologetic – until recently. In a related development, Nnamdi Uba is slated to be awarded a non-academic honorary doctorate degree by the Nnamdi Azikiwe University in Awka, Anambra State on November 21, 2009. Nnamdi Uba had donated a N53million communication center to the Mass Communication department of Nnamdi Azikiwe University three years ago. In talking with some of Nnamdi Uba's advisors, they denied it.